Sony will next month upscale the optics of its Cyber-shot S series of digital cameras - 'S' for 'solid', if ours is anything to go by - with a 6x optical zoom lens. Compact cameras typically offer only a 3x optical zoom, relying instead on tweaking the image digitally for higher levels of magnification. The DSC-S800 still offers a 12-30x digital zoom, but by raising the optical zoom to 6x, you can be sure of cleaner close-ups. In place of the customary Carl Zeiss lens, the S800 has Sony's own optics. Of course, the S800 also packs in anti-blur technology to compensate for shaky hands, an effect always magnified by zooming. 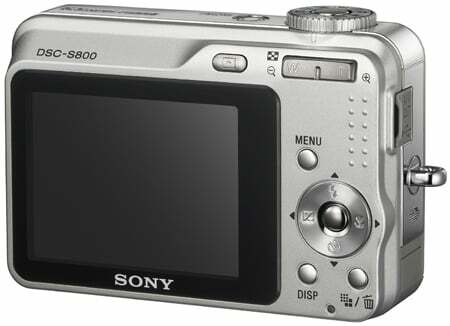 The S800's an 8.1-megapixel camera with a sensitivity rating of up to ISO 1250. There's a 2cm macro mode for close-ups and a 2.5in LCD for framing your photos. 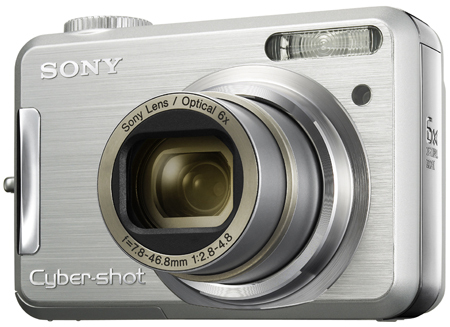 The camera has 56MB of on-board shot storage extendible using Memory Stick cards. The camera comes with a pair of rechargeable batteries good, Sony said, for 390 shots. The DSC-S800 will hit the store shelves in May. Sony did not say how much it will cost.